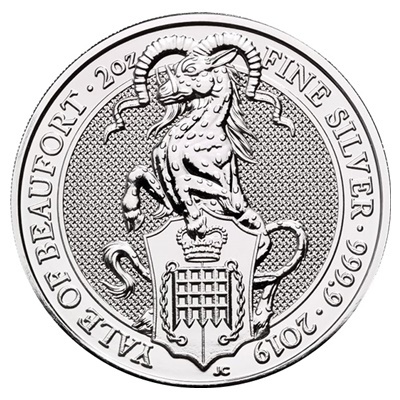 The 2019 UK Queen's Beast The Yale of Beaufort 2oz Silver Coin is part of the Queen's Beasts bullion range from The Royal Mint, featuring an original reverse design. The coin's reverse features The Yale of Beaufort and details the coin's weight, fineness and year-date. The Yale is a mythical beast with characteristics of an antelope or goat, depending on the imagination of the artist and their desire to portray grace and elegance, or strength and determination. The Yale of Beaufort was a symbol of Lady Margaret Beaufort, mother of Henry VII. The Yale of The Queen’s Beasts holds a shield with the blue and white quarters of Margaret’s arms but with a golden portcullis at the centre, a badge used by Henry VII. The portcullis is also part of the arms of Westminster City Council, which is home to Westminster Abbey where the coronation took place in 1953. 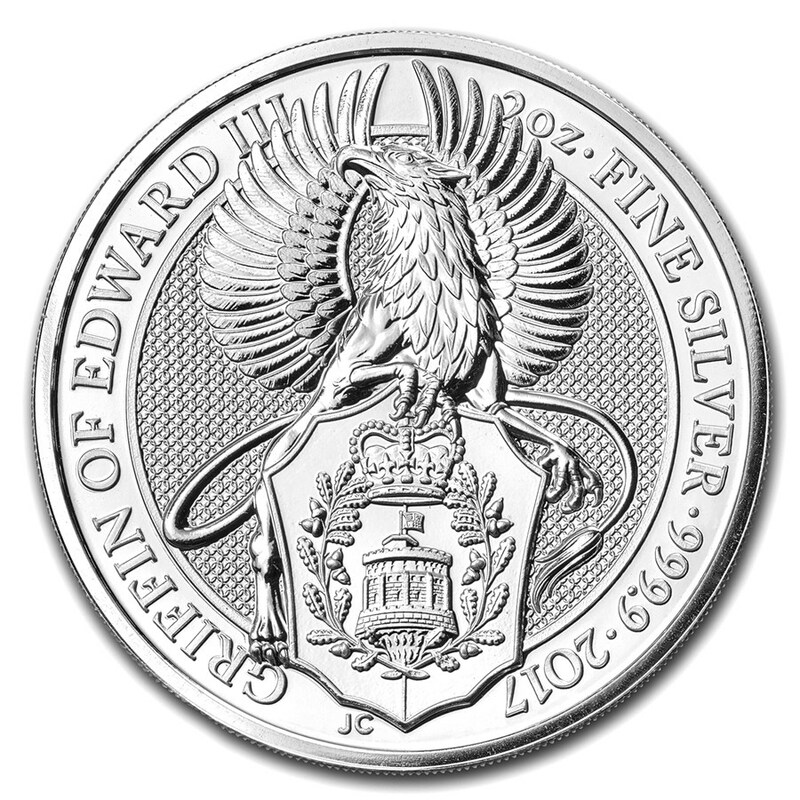 The obverse design depicts the fifth portrait of Queen Elizabeth II, and the monetary denomination of £5. Both the obverse and reverse are by British Coin Designer Jody Clark, creator of the latest definitive portrait of The Queen on UK coinage. Each coin weighs 62.2g and is 999.9 Silver.